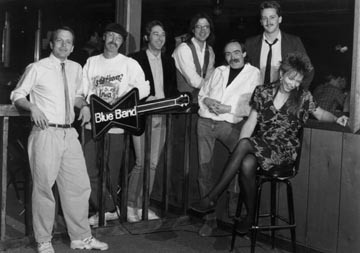 Bob Dorr & The Blue Band started in Cedar Falls IA, in the early summer of 1981, simply as a way to satisfy the remaining contracted obligations of a band that had broken up in the spring of '81. 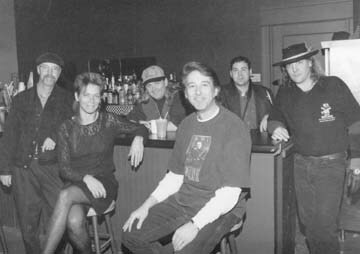 Blue Band founding members Bob Dorr (vocals and harmonica) and Molly Nova (bass, violin, and vocals) assembled old friends to play the remaining three contracted dates of The Little Red Rooster Band, which Dorr and Nova had been part of from early 1977. Drummer Bryce Loshman, who had played the last few performances of Little Red Rooster, agreed to play the three dates. E. Scott Esbeck, who could play bass and guitar, answered an ad posted in Stebs Bar. Then Dorr called two other old friends from the mid-'70s. "Wild" Bill Cannon was a one-man horn section and outrageous character (he'd been the sax player in the Watts 103rd St. Band, which had charted hits for Warner Bros. in the '60s); and Jimmy "The Kid" Price, an aspiring songwriter and newspaper writer, played guitar and sang a few songs. (Price wrote signature Blue Band songs "Madness On Main Street" and "Too Many Cold Nights.") 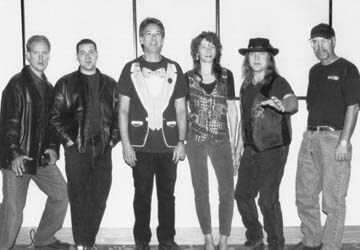 These six people worked up enough songs to play the three contracted dates, decided to name itself Bobby's Blue Band, (a tongue-in-cheek, humorous spin on famous blues singer Bobby "Blue" Bland's name) and played their first show June 10, 1981 at The Cooper Wagon Works nightclub in Dubuque IA. Bobby's Blue Band actually experienced great success on those initial three shows. Buoyed by that success, most of the band members decided to stay with it. 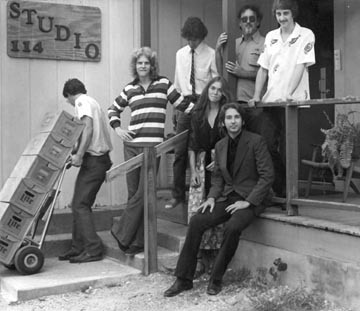 But Jim Price could not afford the time for a full-time band along with his day job and school. Guitarist Jeff Petersen, fresh from the breakup of another IRRMA HOF band--Headstone--joined the group in September of 1981. 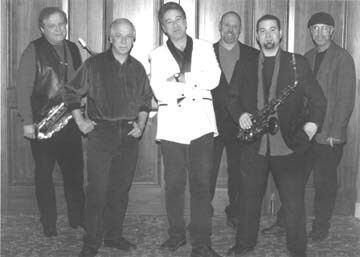 After nine months, saxman Bill Cannon, who was already in his fifties while the others in the group were in their twenties, returned to his day job and was replaced by a number of sax players including Danny Duke and Phillip "Bunky" Marlow, until Iowa City sax player Bob Thompson joined the band shortly after the breakup of Bo Ramsey's Sliders in 1984. 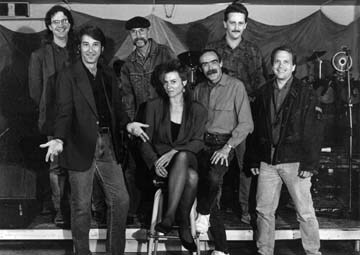 Coming along with Thompson from The Sliders was sound engineer Phil Maass, who also became the band's road manager for nine years. Maass still mixes sound on special shows and is the band's technical advisor today. After two albums, Scott Esbeck returned to college and was replaced by veteran Cedar Rapids guitarman Ron DeWitte (who is already in the IRRMA HOF for other groups) in early 1984. 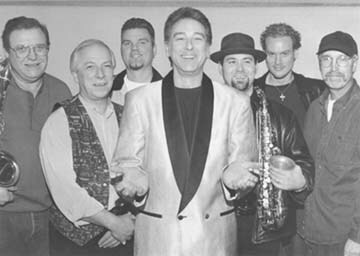 When Bob Thompson stopped touring with the band after major inner ear surgery in late 1986, he was replaced by multi-instrumentalist and songwriter Dan Magarrell (who is also being inducted into the IRRMA HOF this year with The Mother Blues Band). Magarrell was the primary songwriter of the band for his nearly nine-year stay. In the Blue Band's 30 year history, the group has averaged playing 125 dates a year, traveling mainly 300 miles from its base in Cedar Falls IA, playing the majority of those dates in Iowa but also making appearances in Minneapolis, Omaha, Kansas City, and Chicago. For 15 years the band made trips to Colorado ski resort areas and also traveled to Sun Valley Idaho. 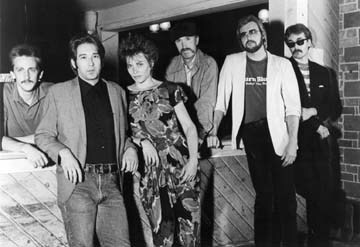 The band was also invited to the international Bluestock Celebration in Memphis, where they appeared at B.B. King's nightclub on Beale St. The Blue Band has opened shows for B. B. King, Buddy Guy, Koko Taylor, Bobby Rush, Robert Cray, Roomful of Blues, Tower Of Power, Leon Russell, Duke Robillard, Maria Muldaur, Little Charlie & The Nightcats, Asleep At The Wheel and many others. Career highlights include a 25-year run at the Iowa State Fair, five appearances at the Mississippi Valley Blues Festival, and two appearances at the Kansas City Jazz & Blues Festival. The Blue Band has also appeared on the internationally distributed Beale St. Caravan radio show, produced by the Blues Foundation in Memphis. 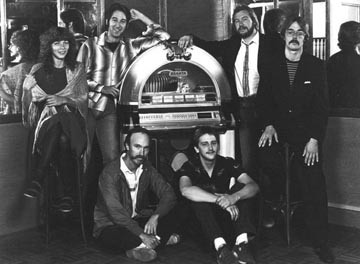 There have been over 25 Blue Band album releases, including five vinyl records. 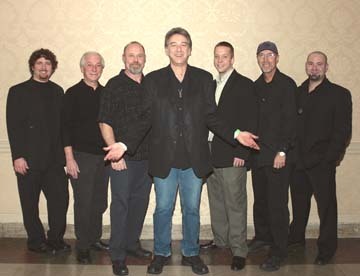 The band was one of the first Iowa groups to have music released on CD in 1987. 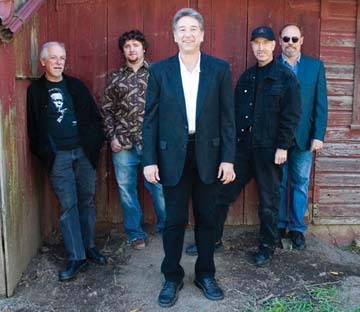 In 2006, to celebrate the Blue Band's 25th Anniversary, Iowa Public TV released a two-DVD set spanning the group's history and including footage from 12 different years. The 25th Anniversary concert has been broadcast across Iowa on IPTV numerous times. 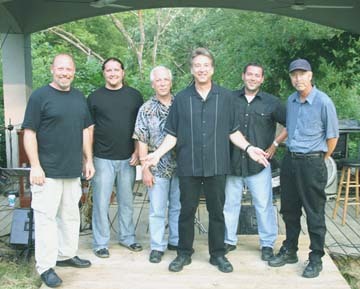 Bob Dorr & The Blue Band aspires to keep playing as many dates as possible.